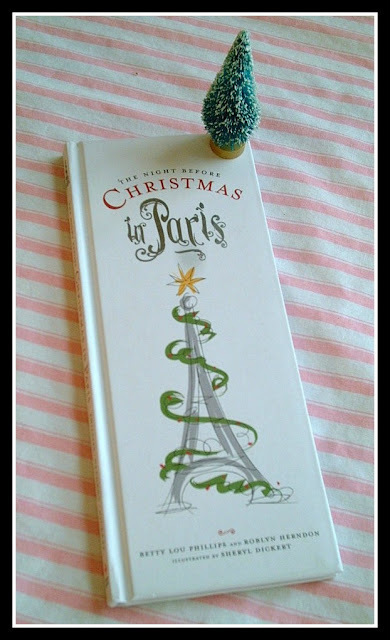 The story of my little vignette tablscape is inspired by this charming little book, "The Night Before Christmas in Paris". A charming tale of Santa and Mrs. Claus. How much he loves her and appreciates her. She has left a week before Christmas to experience Paris and is having great fun. He goes in search of her and the love they share is made anew. A charming story. I have a centerpiece with charming French inspired details. One plate for Santa. A French Country style crown with charming French themed ornaments. 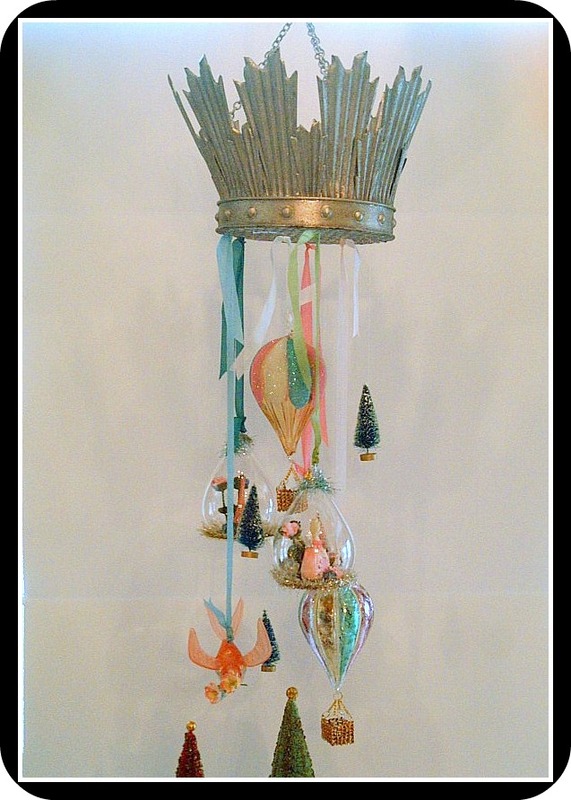 Each ornament is magically attached with silky ribbon, and all are suspended above the table. 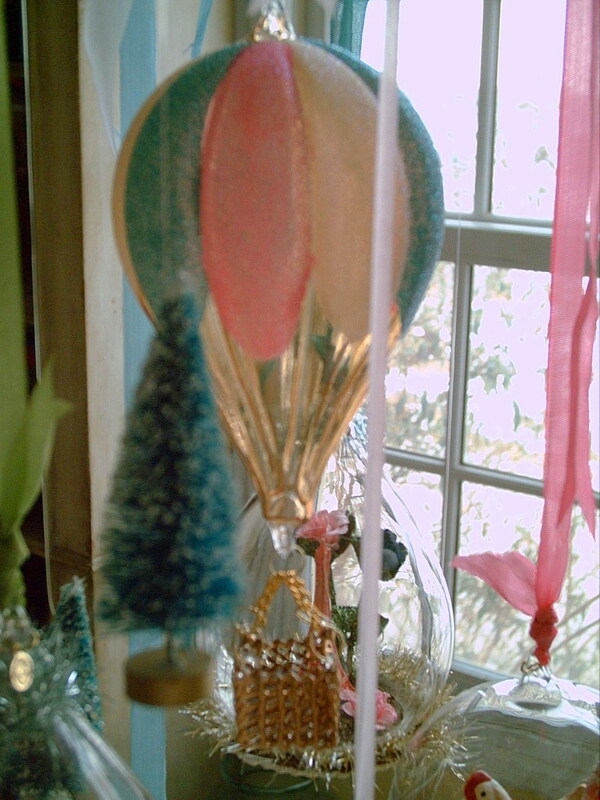 The crown is suspended by its attached chain. At the bottom of the crown is an attached mesh screen. 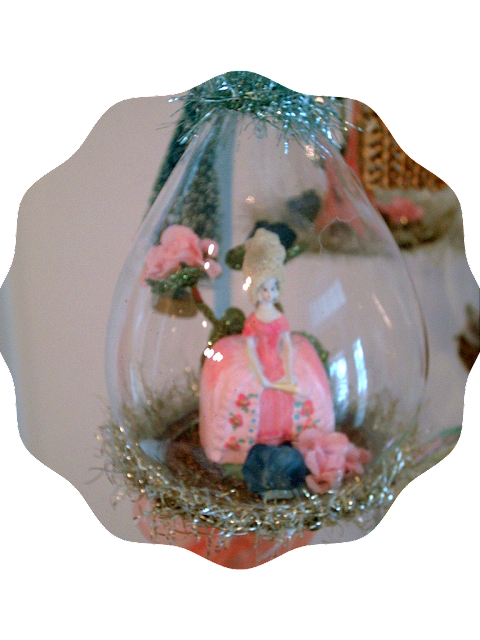 I used this to attach my ornaments. 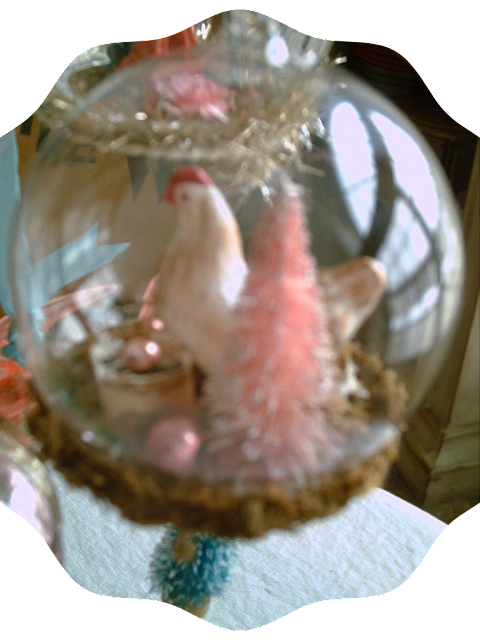 Even the little French hen is celebrating with a little Christmas tree. 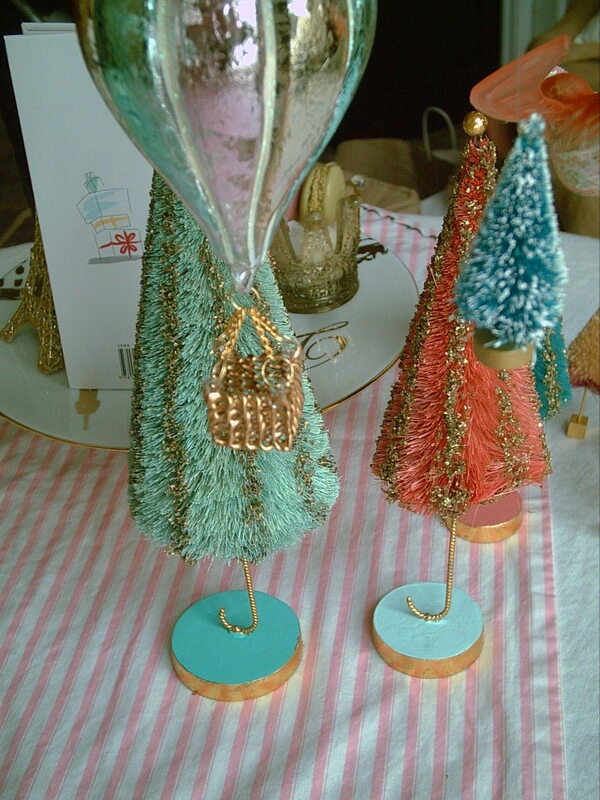 The Christmas trees look like little Parisian Cafe Umbrellas. "Pas une creature remuait, pas meme une souris". We have saved a plate for Santa. 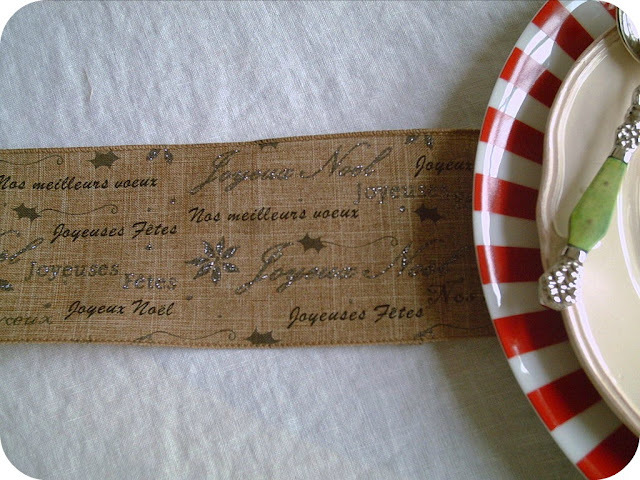 The writing around the little Christmas mouse is done in French. 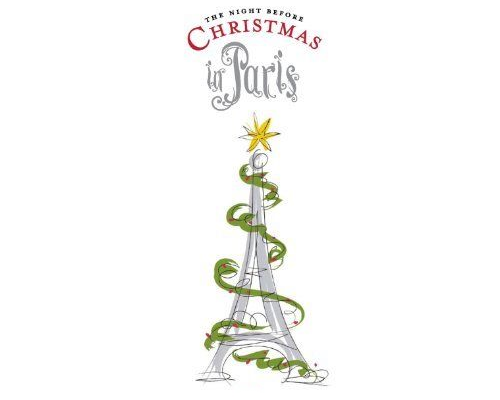 Just right for the night before Christmas in Paris. Please feel free to leave a comment below. If you are having difficulty leaving a comment. Please check the anonymous box and you can sign your name. Thanks so much! I'll be posting this on Metamorphosis Monday and Tablescape Thursday on Between Naps on Porch. How cute! 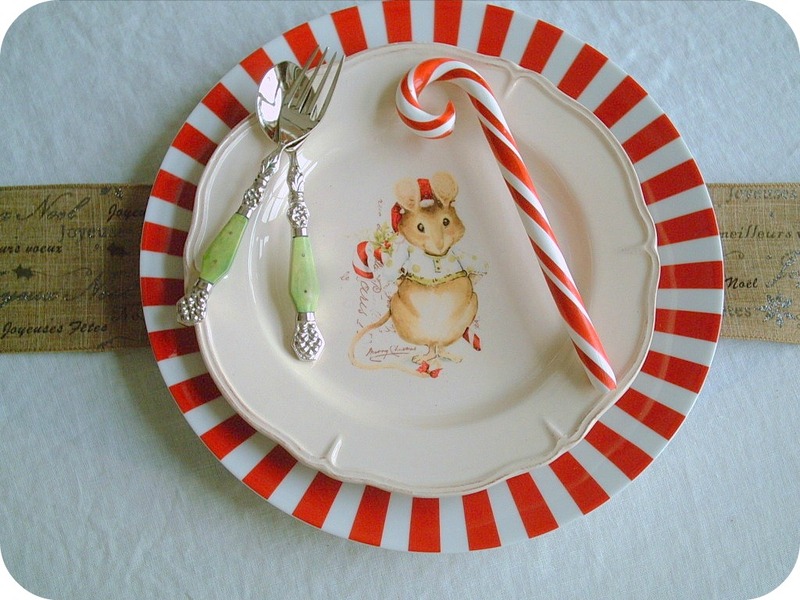 Love all the cute Parisian accents- the plates with the mouse are adorable. The little cookies are perfect with this! 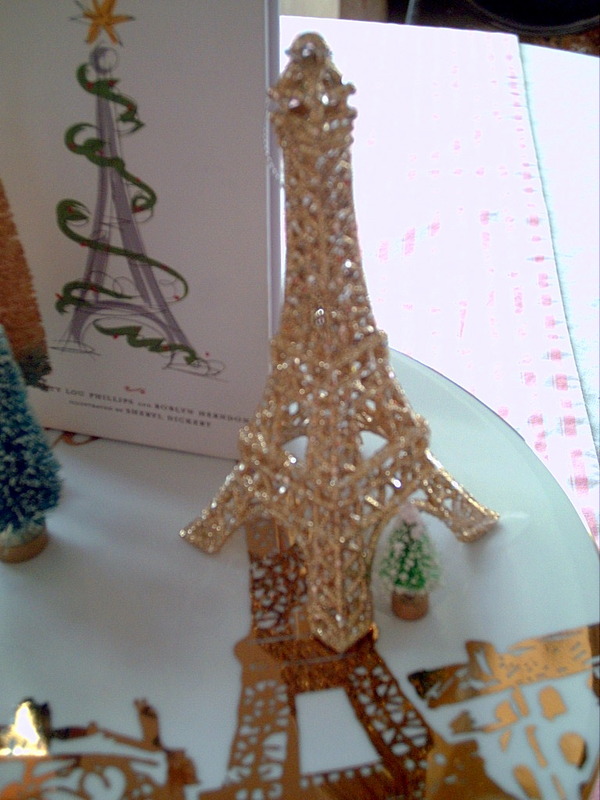 Your beautiful tablescape is a tribute to Paris. I know your heart is full of love for the city of Light. Thank you for your dedication and your art. 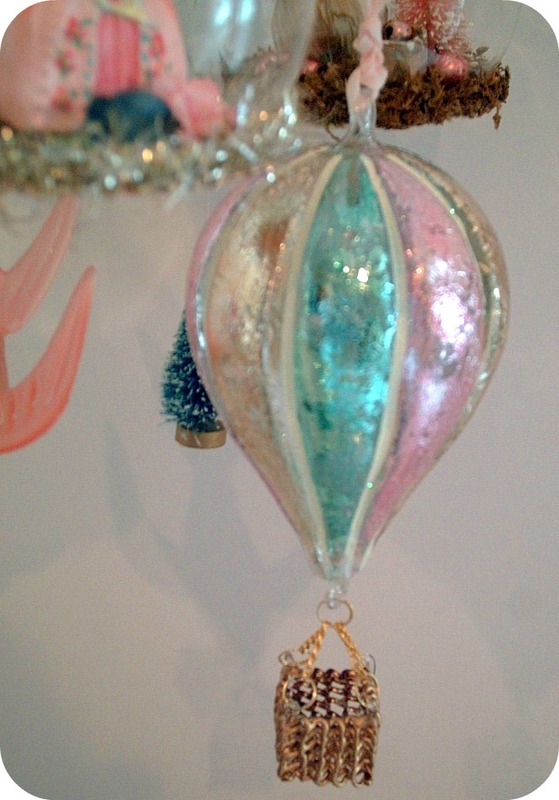 Joy to the world. God bless us all. I love the way you bring to life the city of lights. 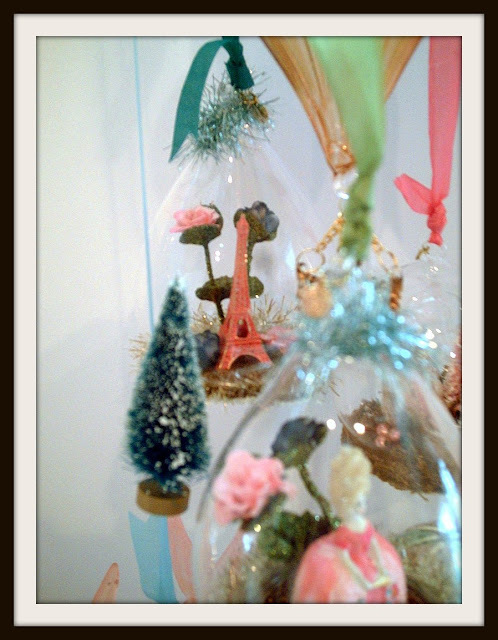 Your Parisian decorations are Pretty in Pink. 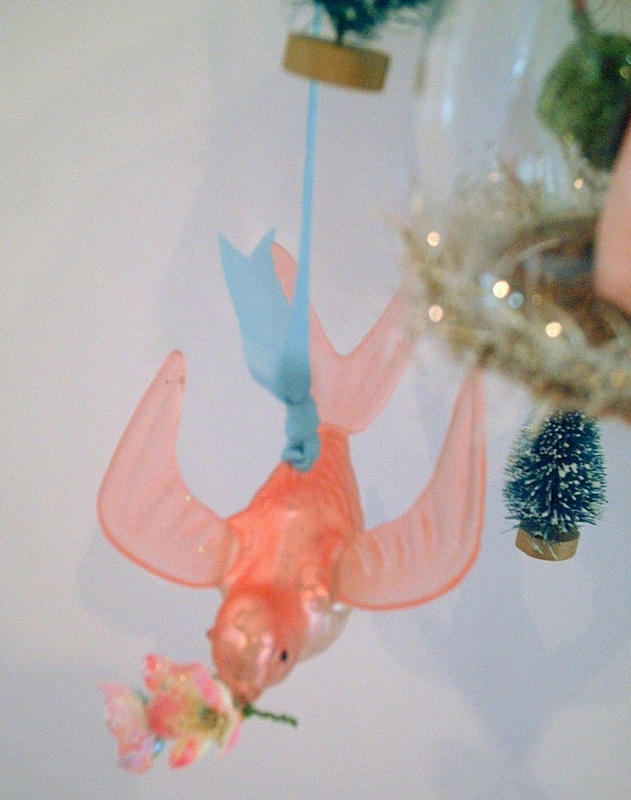 A perfect little celebration of the hope for a new beginning. 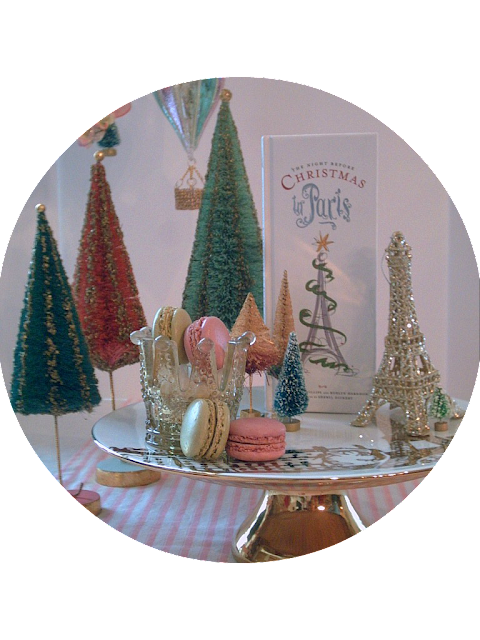 Joy to the world, your tablescape proclaims. Your tribute to the city of lights is good for what ails us all in a time of raw emotions. Thank you for all you do to make the world a more beautiful place. 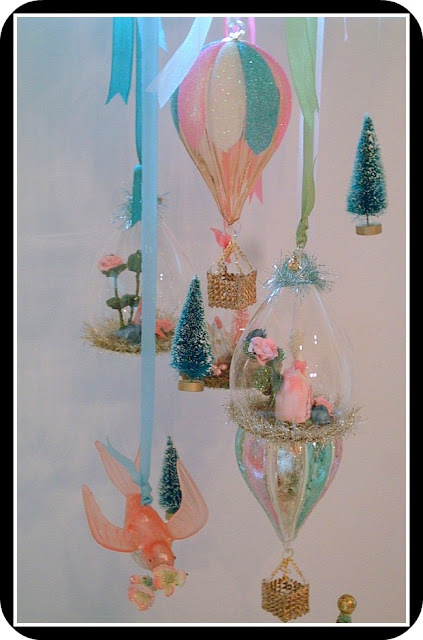 Joyeux Noel et Bonne année. This post is so charming. 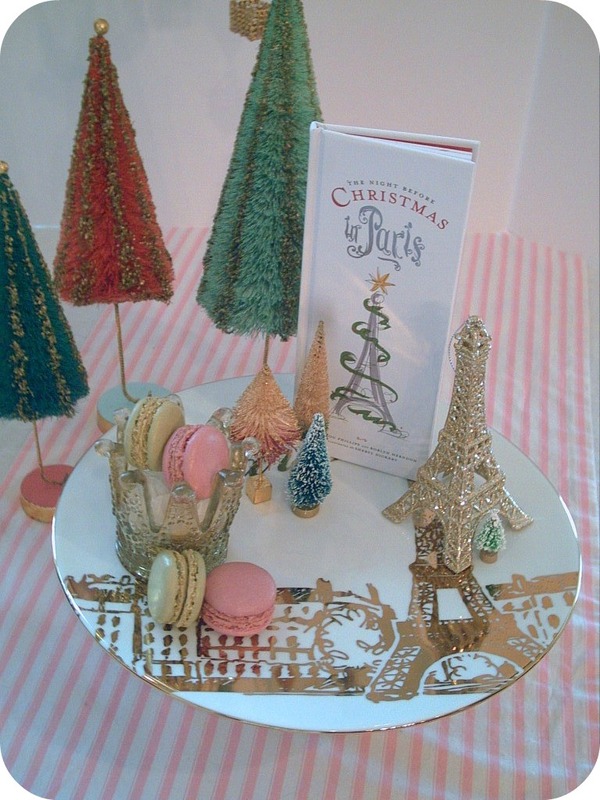 I love Paris anytime but I hope to be in Paris at Christmas some day. What a sweet post, Valerie. You have some really cute ornaments...and those bottle brush trees are awesome. I would love to find some in those colors. 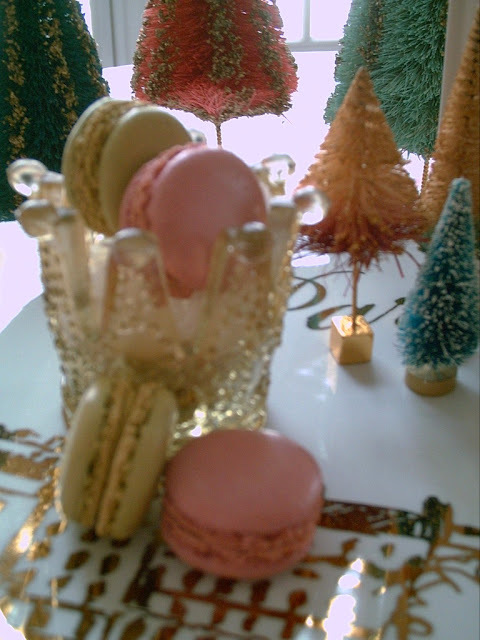 Did you make the macarons? That is one cookie I have never gotten up the nerve to make. Have a relaxing week...wishing you a very Happy New Year. Oh how beautiful! You sure hit a high note with me...Paris is ALWAYS a good idea, oui? I love the balloons! It looks so fun. Like you just stepped off the plane and into Paris. I wish to go with you on your trip. 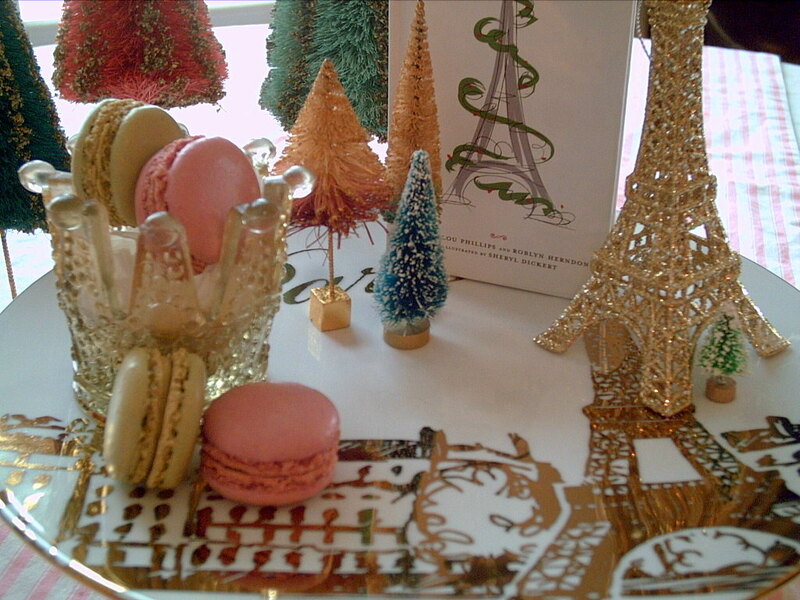 I love the charming Parisian Christmas decor. 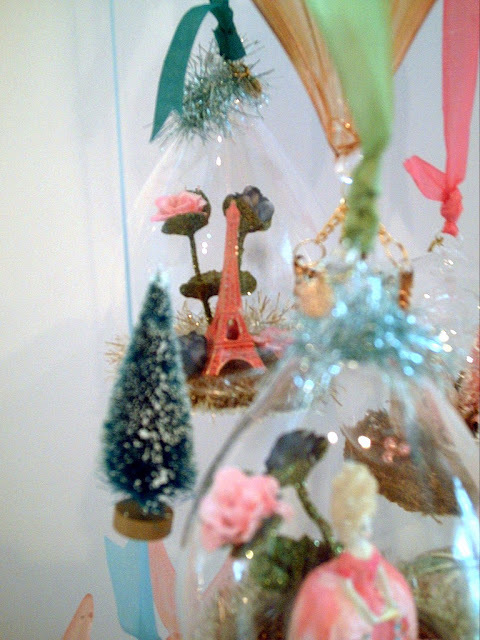 The pastels in the ornaments and the trees are so perfect to establish an atmosphere of of a delightful Paris experience. 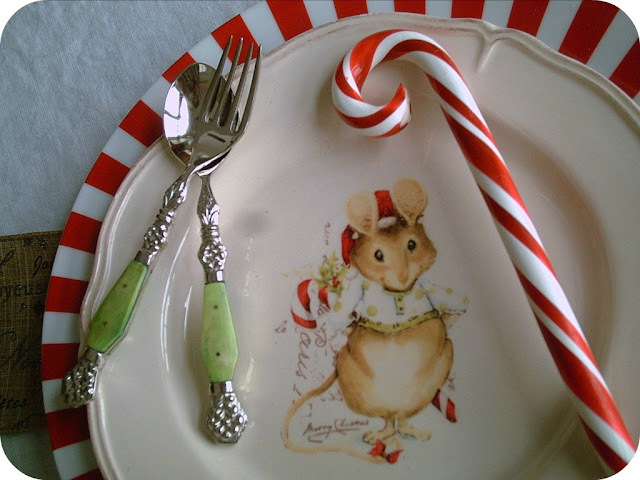 The mouse plate is so cute!! You have the most beautiful and unique themes! 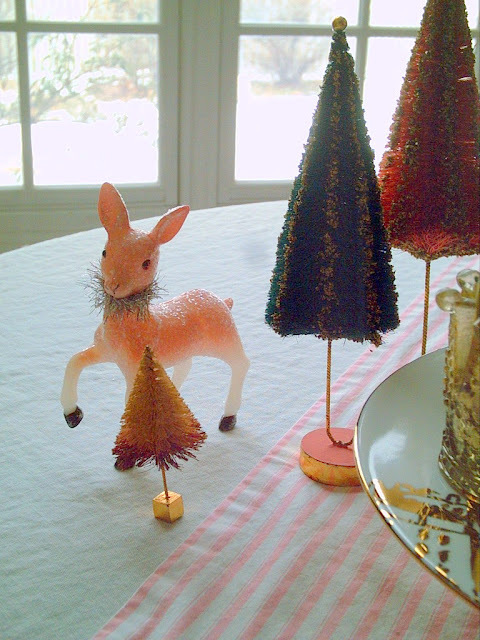 The Ugly Christmas Sweater Tablescape. Copyright © 2013 Candlelight Supper. All Rights Reserved.